There is something uniquely gratifying about the sanctuary of a tent. It’s the satisfaction of knowing that torrential rain, crushing snow, gale force winds, and swarms of bugs can be so effectively held at bay with fabric and poles. In fact, the more desperate the conditions are outside a tent, the more comfortable it is inside. I enjoy my tent-bound experiences only because the modern tent is such an impressive progression over the animal skin shelters our ancestors once lugged around. Many of today’s tents are built with cutting edge materials using computer aided designs to provide a layer of security unimaginable just decades ago. 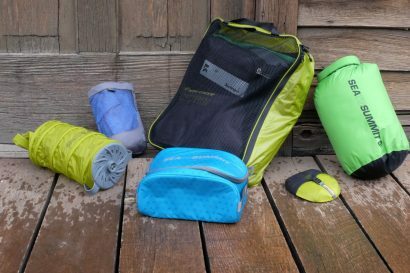 For the overlander, the offerings suitable for our type of travel range from tiny bivy sacks to walk-in enclosures that would make P.T. Barnum envious. Knowing which one is best suited for anyone’s unique needs, however, is not always obvious. How do you select the right tent? The advent of flexible poles and lightweight fabrics marked a turning point in tent design, particularly when paired to the geodesic shapes pioneered by the likes of Buckminster Fuller and his contemporaries. This is not to say the age of the lean-to and teepee are behind us, but current tents employ a wide range of structures to achieve particular objectives. These elements can be broken down into various categories. All tents must achieve two diametrically opposed functions. They must prohibit the ingress of moisture while allowing internal water vapor to escape. Humans expel a tremendous amount of moisture with every breath creating the condensation that can wet a tent from within. To achieve a necessary level of breathability, tents must either rely on a double wall construction with a tent body and rain fly allowing for optimal air circulation, or a single wall construction that relies on a breathable fabric, and/or includes large ventilation features. Few single wall tent fabrics breath well enough to transfer enough moisture to not be plagued with condensation issues, but there are some that perform better than others. Canvas was the first single wall fabric put to common use as it could be waxed or oiled to repel rain and snow, but remain breathable enough to limit internal condensation. Mountaineering tents, like those from Bibler, The North Face, Mountain Hardware, Nemo Equipment and others, rely on sophisticated fabrics which behave much like GoreTex. As a general rule, most single wall tents tend to be best applied to cooler seasons as ventilation features are limited. Double wall tents are by far the most common and have attributes unattainable by their single wall cousins. Most double wall tents have an inner tent body composed largely of mesh panels. 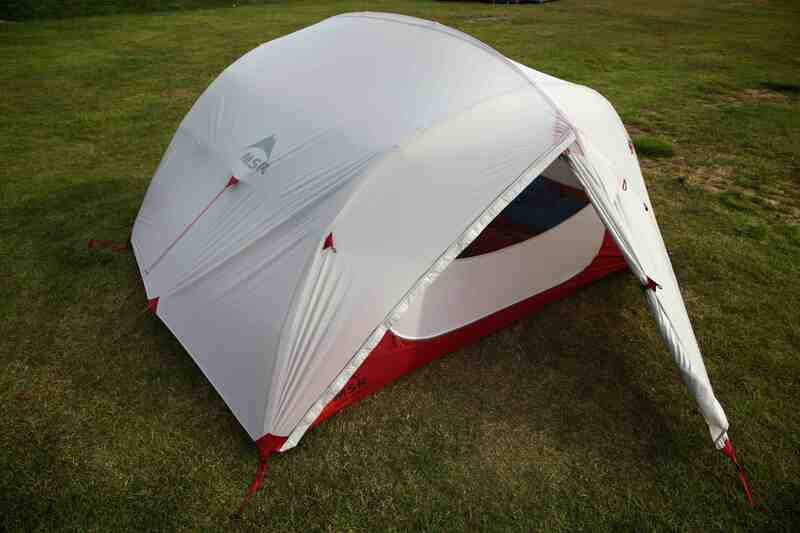 This allows the tent body to be pitched on its own as a bug shelter with maximum air pass-through. 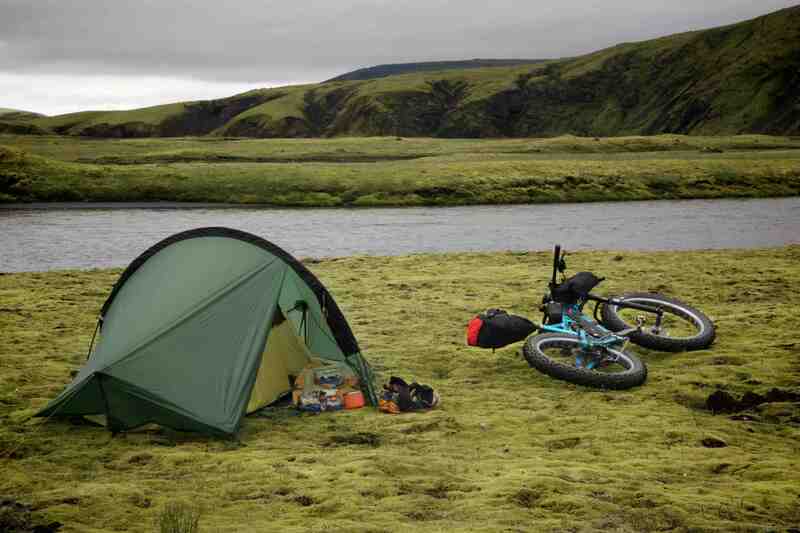 It is even possible to pitch just the rain fly on some tents creating a weather proof shelter with minimal weight. 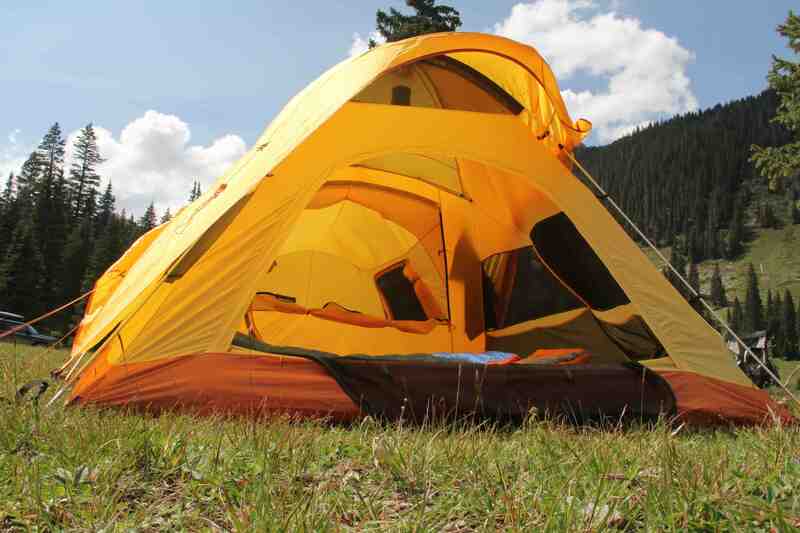 That versatility is what makes double wall tents so popular. The dome tent was amongst the first tent types to offer a free standing design, meaning it did not require stakes or guy lines to keep it upright. Over the years, this feature has held peculiar sway over the buying public. Many consumers assume that free-standing shelters are in some way superior to those that require the use of stakes and guy lines. 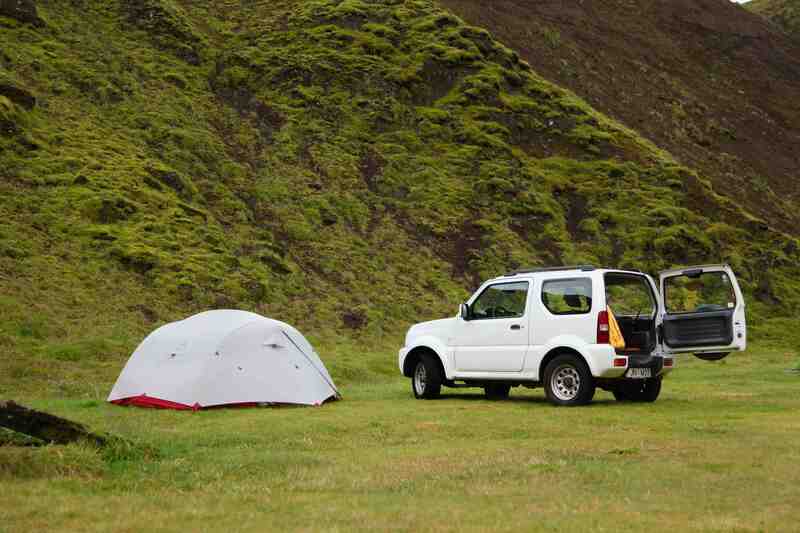 Free-standing tents do have distinct advantages. They are easier to pitch on hard surfaces that don’t readily accept stakes. Once pitched, they can be moved around, picked up, inverted, and even shaken to purge them of debris and dirt. It should be noted that even free-standing tents will need to be staked to the ground to maximize their weather-thwarting properties. As a final footnote, the North American tent market clearly has a preference for free-standing tents as they are the most popular and offered in a wider selection than their non free-standing counterparts. There are many shelters that fit into this category. Single-pole structures like pyramids and teepees require stakes and guy lines to remain standing. 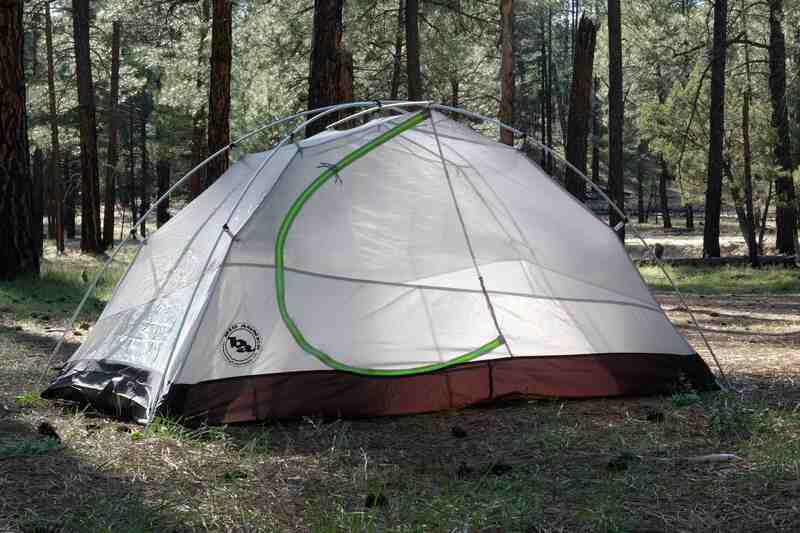 Hoop tents are the most common of the non free-standing shelters in use around the world. There are noteworthy benefits to these types of structures. Hoop tents often have a low weight to space ratio and can often provide the most vertical walls of any tent design. They are also strangely resilient to high winds. The same can be said for teepees and pyramids, which also do well with heavy snow loads, although their sloped walls limit interior space. It is an often overlooked aspect of tent selection but how floorspace is shaped is a critical concern. 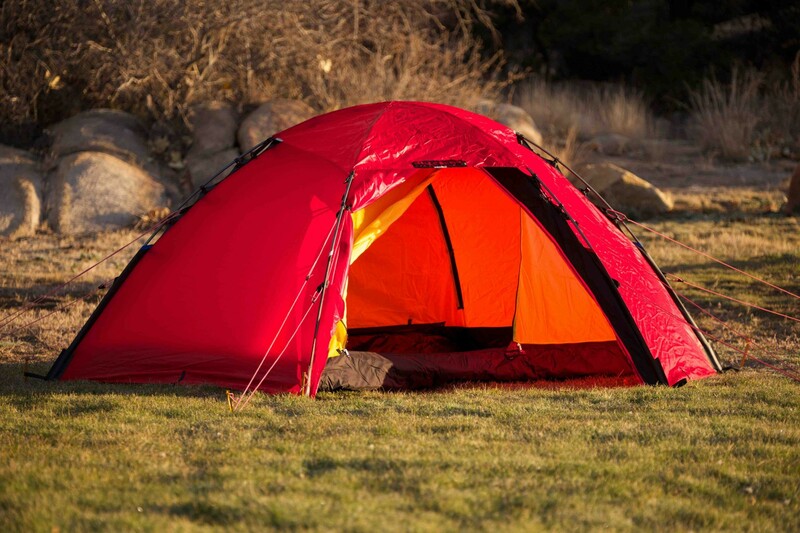 Some tents have an asymmetrical shape with a definitive head and foot orientation. 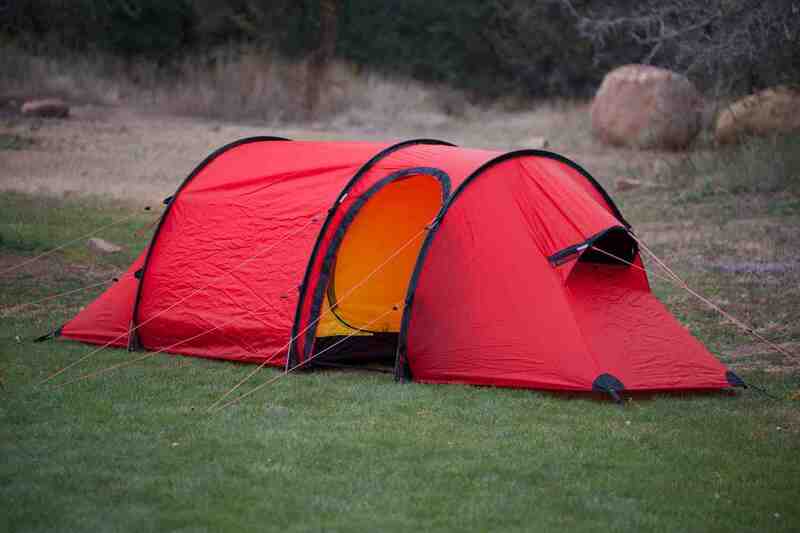 Others are more symmetrical allowing the occupants to choose which end of the tent they wish to have at their heads. This seems incidental, but should the sleepers wish to sleep with their bodies alternating head to toe, an asymmetrical tent may not always permit that orientation. There are also times when you crawl into your tent only to realize you’re on a downward slope. Instead of sleeping with all of the blood rushing to your head, you can sometimes just flip your body around so your feet are at the low end. Other aspects of tent symmetry come into play with general living space. I have a two-person tent with a rectangular floor plan. It allows the two occupants to sit at either end, facing each other. This not only adds to the elbow room of the tent, it makes small tasks like eating meals, changing cloths, or even just playing cards easy. Tents that force the occupants shoulder to shoulder can often feel more cramped than they actually are. A tent can have a large floor area, but if the walls slope aggressively, that interior space will feel restricted and tight. As such, tent designers aspire to create shelters with walls that are as vertical as possible. As an example, teepees have great floor space, but terrible head room. It is one of the great misnomers in the outdoor industry, but a “four season” tent really should be called a one season tent––for winter. That fourth season requires a tent designed to endure heavy snow loads and high winds with other considerations like the need to store large amounts of wet or frozen gear outside the main tent body. Bugs are of no concern in the winter months, so mesh is kept to a minimum. Heat retention is an obvious benefit, but condensation mitigation becomes a serious issue. Because of these design constraints, four season, or winter tents, tend to be heavy, complex, and oddly enough, small and expensive. Three season tents refer to the seasons most backcountry users enjoy, which is to say: spring, summer, and fall. These tents will have more ventilation for use in warmer temperatures and more bug mesh to keep the biting insects from ruining a good night’s sleep. 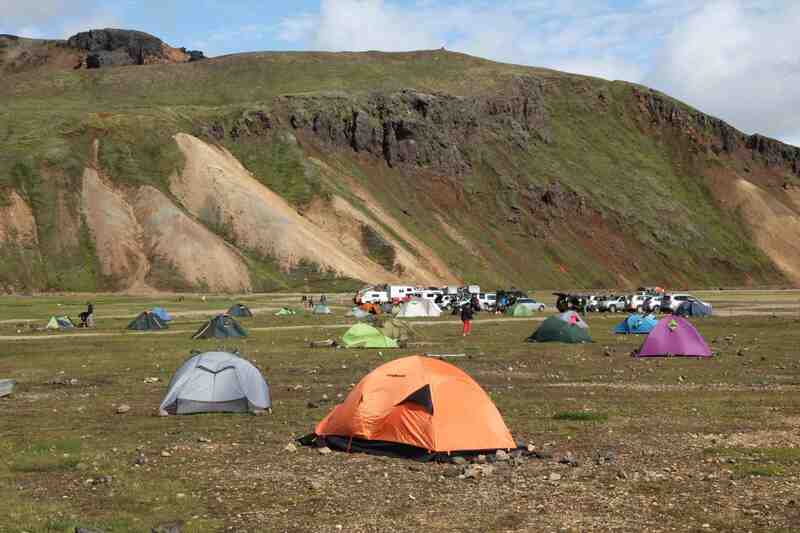 The vast majority of tents on the market are designed for three season usage. The fabrics used in the construction of a tent have a direct correlation with its intended purpose. A shelter made of expensive and ethereally light Cuben fabric will be most useful to those with critical weight constraints like bikepackers and backpackers. Canvas is of no use to those people as it weighs a ton. That’s of minor consequence in the back of a 6,000 pound truck. 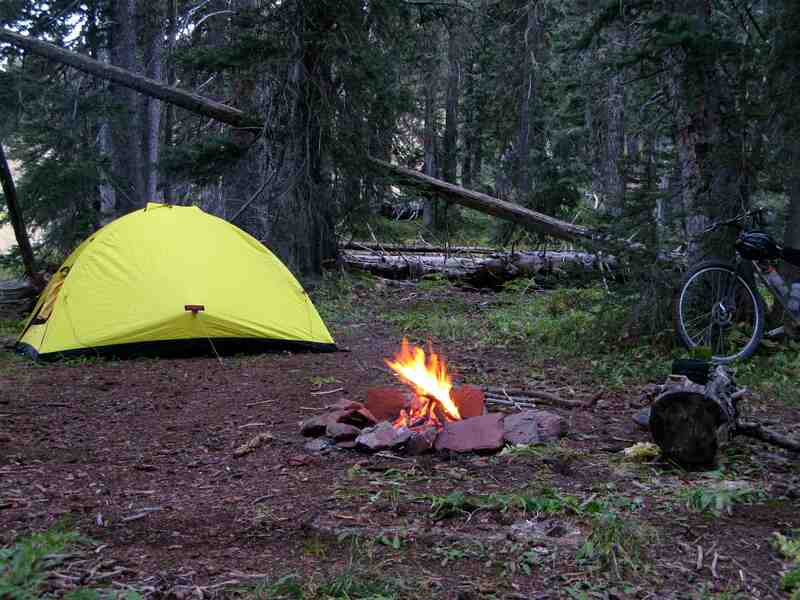 Some tents employ exotic materials like Hilleberg’s Kerlon 1800, which is virtually impossible to tear or damage. Silicone-impregnated ripstop nylon is the ultra-light favorite while polyurethane coated nylon offers great performance for lower cost. Bibler’s proprietary ToddTex waterproof/breathable fabric is the best of its kind with condensation almost never a problem in a Bibler shelter. The choice of fabric will not only determine performance, but it will invariably effect the purchase price. It is a surprising number, but in some cases, the cost of the poles alone can represent more than half of the total price of a tent. The cheapest poles are made of fiberglass, like those that come packaged with price-point tents sold at your local big-box department store. When a fiberglass pole fails, it’s a mess and shatters into splintered strands. The better poles are made of extruded aluminum, with the best made by a company called DAC. It’s easy to understand that better poles make for a better shelter, and as such will be lighter, stronger, more flexible, and often include details like real rubber shock cords that won’t poop out after season number two. The lightest poles are made of carbon fiber, but only a precious few tents come with those exotic sticks. In the last few years we have witnessed a number of interesting features enter tent desgin. Big Agnes released their MtnGlo LED tent lighting system, which I dismissed as a cheesy gimmick until I used it. Now I think every tent should have a little strand of party lights. They now have models packaged with Goal Zero charging packs. Yes, I think it’s genius. 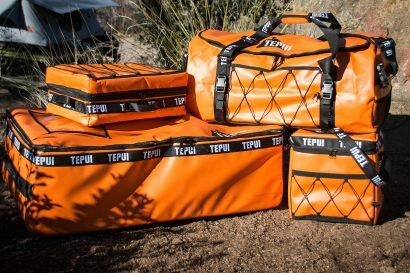 The features that fall into the category of must-haves typically include things like well-placed pockets, gear organizers, reflective elements, ventilation ports, clear plastic windows, and other things that add creature comforts. Obviously, some features are more useful than others. I have given away tents with annoying door configurations. One of my near deal breakers of tent design is a non-hanging door. Doors that unzip only to lay on the ground make me nuts. 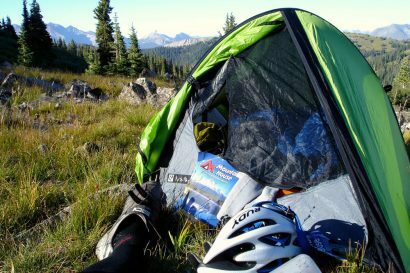 They get dirty, allow debris to enter the tent, and always seem to get stuck under my pad, knees, or gear. Hanging doors which can be tied to the side, or left to drape, are often best as they seldom contact the ground. Where the door is located on the tent body is another critical issue. A multi-person tent with one side door is a terrible design as the occupants have to crawl over each other to get in or out. Front and back doors don’t suffer that inconvenience. Doors that are too small, or are positioned awkwardly inside a vestibule can also be a negative. Lastly, doors with complicated zipper configurations can be frustrating, particularly in the middle of the night just as nature calls. A good tent typically includes one or two vestibules ideally large enough to protect the tent entrance from foul weather, and to make for useful gear storage. Tents with two doors and two vestibules are great as they allow one vestibule to be used just for gear, the other to protect the entrance. When weather turns ugly, a vestibule is a wonderful thing to have. Selecting the right tent for you needs is not terribly difficult once you understand what makes one tent different from another. 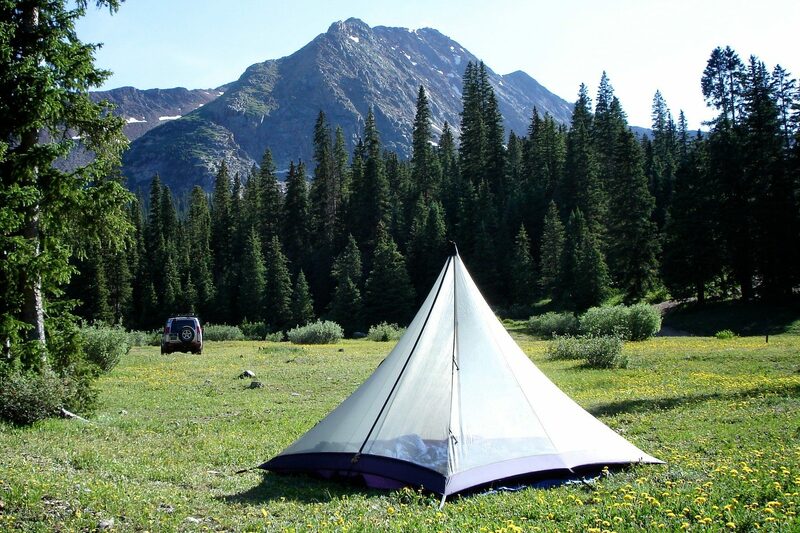 If properly chosen, a good tent can improve your backcountry experience and provide years of use. Like many products, price often follows quality. 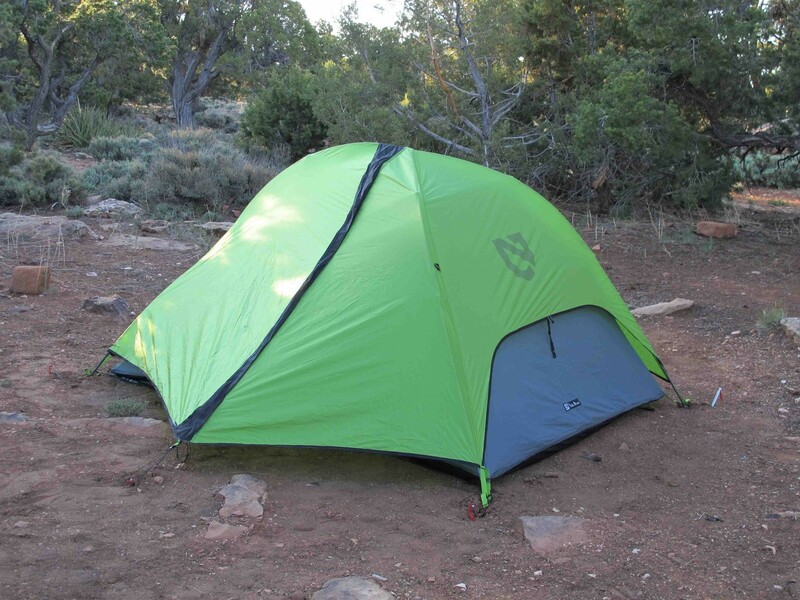 A $75 department store tent will not perform nearly as well as a higher priced tent. The point of diminishing returns is tough to judge. The $800 asking price of a Hilleberg may seem outrageous, but if it is your home for several months of travel in hostile conditions, that might be the best value. If you make your purchase wisely, and find yourself sequestered within it as the weather outside threatens to ruin your trip, having the right shelter will be worth every penny.